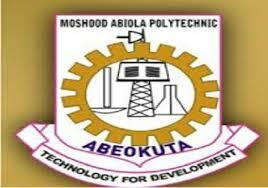 Moshood Abiola Polytechnic (MAPOLY), Abeokuta Second [2nd] Semester Examination Date for 2017/2018 Academic Session. Authorities of Moshood Abiola Polytechnic (MAPOLY), after reviewing the academic calendar for the second semester 2017/2018 session, have approved Monday, 25th March, 2019 for the commencement of the 2nd semester examination for all categories of students of the institution. This was the resolution at the Academic board meeting held on Thursday, 7th March, 2019. The board also approved two weeks, between 11th and 23rd March, 2019, for revision and completion of registration for the semester in preparation for the examination. The examination, which will be undertaken by all categories of students, is only intended for those who have completed registration for the semester.